www.parkcity.org or call 615-5500 for more information. Since 2007, Betsy Ricks and her team of Peace House prevention educators have been introducing Summit and Wasatch County students, grades K-12, to concepts designed to keep them safe from child abuse and domestic violence. In 2014 nearly 7,000 students at both public and private schools learned safety tools for use whether on the Internet, on a school playground or on a date. For the past two years, Vail's Epic Promise grant has provided significant assistance to the Peace House prevention education program. Approved by Prevent Child Abuse Utah, our education presentations are embraced by nearly every school administration in the two counties Peace House serves. They are offered to public and private schools without charge. And now the Epic Promise grant has allowed Peace House educators to increase the breadth of their reach, providing prevention instruction to youths outside the school setting, whether participating in team sports, Scout troupes, extra-curricular high school clubs or church groups. coming together as a community we can eliminate domestic abuse. Through knowledge and understanding the cycle of abuse is broken. Thank you, Vail Resorts, for your positive impact on our community and for assisting the Peace House effort to serve families in crisis. I am a student at Park City's Treasure Mountain Junior High and recently embarked on a school science trip to Teton National Park in Jackson Hole, Wyoming. For five days, the school brings students on a trip to the National Park to help our learning. It is a fun-filled trip available to all ninth-grade students that apply. While there, we have daily activities: team bonding, snowshoeing/ hiking, cross-country skiing, and an adventure course. Students also have nightly activities: tracking, learning about the Greater Yellowstone Ecosystem and animal adaptations. For the week, a total of 30 students are able to attend the Teton Science School program that provides dorms, gear, breakfast, lunch, and dinner. By attending, students have a chance to work in an outdoor, scientific environment while becoming closer friends with their peers. It is a great way for ninth-grade students to be active outside while still in a learning environment. Some of the highlights for me were hiking in the National Park and team-bonding skills. For a day, a group of students were taken out into the park for a snowshoeing trip across a snowy plain filled with wildlife and adventure. Along the way, we ran into some wildlife and were able to track it. About halfway through the journey, we stopped for lunch and shared the time that we had so far. Another activity that really stood out for me was the team bonding/adventure course. Going through a set of challenges, we were forced to work as a team to complete the course. Using teamwork, strategy and communication, we were all able to come together as one and help each other through the course, lending a hand to those who were struggling or proving leadership when we came to a challenge or disagreement. There were many highlights for me while on this trip but these two stood out the most. Former Park City mayor, Dana Williams has described the work of Arts-Kids as an "effort to encourage young people to voice their frustrations and interact with others in similar situations (which becomes) the front line of trying to change certain behavioral tendencies that could become larger issues if not faced now." Since 1999, Arts-Kids has served 6,000 students in the Summit and Wasatch counties as well as on the Northern Ute Reservation. Arts-Kids is a model that can be replicated and we are obtaining Evidence Based status. Currently, we are running a pilot at an elementary school in Midvale City, which is being received enthusiastically. How it works: We have guest instructors from all creative art modalities, who use an expressive arts approach. Very little art technique is taught. Participants are encouraged to get out of their comfort zones and express themselves by drawing, dancing, etc. We develop a safe and inclusive community, where participants learn to speak more comfortably in public as well as learn that kids from diverse backgrounds have similar concerns, thoughts and feelings-thus encouraging empathy and cross-cultural sharing. Our goal is to teach students to live and share in a global community and to develop interests and skills to defend against the negative influences in our society today -- even in beautiful Park City like drugs and alcohol abuse, bullying and joining gangs. For some students, being in Arts-Kids or Arts-Teens may be the first chance to feel belonging within a school-based inclusive community. Since the inception of Arts-Kids we have been committed to keeping the program free and accessible to all youth, thus relying on grants and donations to cover operational and programs costs. The groups are taking place weekdays after school in Summit and Wasatch counties and in Midvale City. If you are interested, in seeing how we make a difference in the community one child at a time, please contact Pat or Jenny at 435-615-7878 or email info@arts-kids.org. If someone is suffering from bad health, nothing else begins to matter. All their energy and attention is focused on trying to get well. That's why I'm such a huge supporter of the People's Health Clinic. I've seen people lose everything due to poor health. Families suffer, people lose jobs, homes, their dignity. Believe it or not, there are hundreds and hundreds of people living in Summit and Wasatch County who barely make ends meet .who work several jobs who do not have what most of us take for granted, health insurance. A visit to a doctor is a luxury they cannot afford. That is why the People's Health Clinic is so important to our community. I went from making an annual donation to becoming a board member when I found out just how beneficial the clinic is to all of us. It gives people with no insurance a place to go, a caring staff and medical personnel to attend to their needs. It gives women and children a healthy start through pregnancy and early childhood. Having this medical safety net in our midst is life changing for so many. The People's Health Clinic has been in existence for 15 years now. In that time, they have touched a lot of lives and made a positive difference. Volunteer staff worked 4,519 hours last year and saw over 9,450 patient visits in 2014. Those are people who have very limited options when it comes to medical care. I encourage you to think about those less fortunate in our midst and all those doing something to help. Please consider being one of the latter. There are various events coming up that benefit the People's Health Clinic, including the ladies only Silver Queen Derby on May 2nd. Join me in supporting a cause that makes all of us healthier. Last week, Bob Wells, one of the finest gentlemen I've ever known passed away. I am grateful that, last July, while visiting Park City, I had an opportunity to have a glass of wine with Bob and reminisce about old times. In the mid-80s, I had the pleasure and great honor to serve with Bob, as well as, Jim Doilney, Tom Shellenberger and Bill Coleman on the Park City Centennial Council, during what would be Bob's last two years on the council. During those two years, the council developed the Park City Master Plan, which, along with the companion Land Management Code, provided the roadmap to how Park City would and has developed. Being around Bob and witnessing his genius at work is one of the highlights of my life and it was an exciting, fun and amazing experience. Bob was more than a participant; he was in so many ways the inspiration. Bob may be known by many for his work with Deer Valley but Deer Valley wasn't the beginning, it was a continuation of his work. Bob was a financial wizard who figured out how to find the money that allowed us to make much needed major infrastructure improvements in the Main Street Historic District, by declaring Deer Valley a blighted area, just before the first million dollar condominium was built and that allowed us to keep the incremental tax increase for Park City. That tax increment provided the city with millions of dollars with which to rehab it's century old infrastructure and create surface and garage parking in Swede Alley and helped revitalize Main Street. Not to detract from the efforts of the many people who helped Park City transition from sleepy silver mining town, with a ski hill, to world-class destination resort, there were and are many but I think we'd all agree that Bob Wells made everyone, who worked with and around him better, yet he never sought personal credit. If the whole is greater than the sum of the parts, Bob was the force that pulled it and us together and made all of us better. Whilst Bob was a soft-spoken gentleman, he was to Park City what Steve Jobs was to Apple. Much has been written and said about Bob, this past week, as people attempt to list the accomplishments of the man. However, from my view it's quite simple. Look all around you and, if Park City were the scene of a crime, Bob's fingerprints are all over it. Rest in peace, Bob Wells, well done. In mid-February, I visited three different potential clients in Park City to talk about xeriscaping parts of their yards. There was no snow in any of these yards -- weird. A couple of weeks later, at the beginning of March, I skied a day at Deer Valley and saw dirt beginning to show in between some of the moguls -- weird. And a week ago I was back in Park City measuring yards in nearly 70-degree weather -- weird. South-facing slopes up to nearly 8,000' were bare of snow -- weird and scary. It's been an alarming winter. Yes, there have been winters with little snow before but not with the prolonged warm temperatures that we have seen this winter. I have heard a few folks, friends and even family members, say things like 'at least we will get to do more mountain biking with climate change' or 'Wow, it's so nice to be able to wear flip flops in February'. It's not just about us and what we can and can't do. There are many fellow species that are dependent on this land too plants, animals, birds, insects and the like and their future is in jeopardy just as the future of our snow is in jeopardy. The time for arguing about climate change is long past. The planet, our home, does not care if we are 'red' or 'blue'. 'The Environment' is not a political issue or a concept that can be relegated to No. 10 on a list of political priorities. We must act to care for our home now. We may feel that we have no power, that the problems are too large and that we can have no impact but we must not let that overwhelm us and keep us from acting. We can start by advocating for 'Carbon Fee and Dividend,' the fairest and most feasible option out there currently. We can demand that our legislators enact policies that stay carbon emissions and incentivize new technologies. We can advocate for, invest in and find ways to take advantage of new kinds of clean energy in our personal lives. As I have, we can join the Citizens Climate Lobby and join our voices with thousands more across the country to send a strong message to our politicians that we will not see our planet fundamentally altered by the ongoing impacts of climate change. Let's do this now, for our snow, for ourselves, for our children and for all who dwell on this earth now into the future. 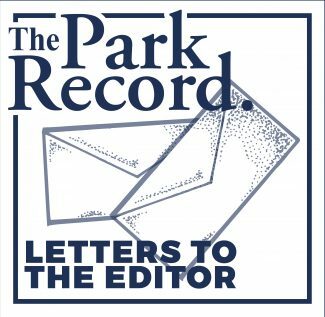 I wish to express my differences with the guest editorial by John Giuffrida regarding minimum wage hikes. Unlike Rep. Justin Miller (who Mr. Giuffrida implies has a conflict of interest because he admits to working for the 'American Federation of State and County Municipal Employees'), I have no horse in the fight (besides potentially paying more for dining out). The 'Supply/Demand' argument (that increasing the minimum wage will put these workers out of jobs) is off the mark and is based on old, disproven expectations as well as fear mongering from restaurant corporations and other low paying industries. Recent peer reviewed studies from UMass Amherst and other leading Universities have actually found a negative relationship between the minimum wage and poverty (In other words, there are no adverse local employment effects to raising the minimum wage). Data released by the Department of Labor in 2014 showed that job growth in the 13 states which increased their minimum wage was actually higher than in the other 37 states. Even those critical of wage increases do not dispute that the increases lead to notable decreases in poverty. The UMass study found that raising the minimum wage 10 percent would reduce the number of people living in poverty 2.4 percent, and that raising the federal minimum wage to $10.10 an hour would reduce the number of people living in poverty by 4.6 million. Furthermore, increased incomes are then re-invested in local economies, and the decrease in poverty leads to less reliance on government programs (food stamps, housing programs, etc.). Ultimately, a society in which large numbers can work 40-hour weeks, but can't support a family should be ashamed of itself. In the words of Charles Darwin: "If the misery of the poor be caused not by the laws of nature, but by our institutions, great is our sin." As a past participant in the Park City Citizens’ Police Academy, I encourage those who want a deeper understanding of law enforcement issues and procedures to apply, and soon, prior to the May 6 start date. You will learn some eye-opening information about police work and meet some great people, and the course is free! Terry Knechtel does an excellent job coordinating a broad curriculum and bringing in presenters who demonstrate passion and expertise. There is serious content being discussed and it is addressed in a manner that will keep you engaged for the whole course. The highlights for me were going to the shooting range, meeting the K-9 unit and the SWAT team, and learning more about crime scene investigation, gangs and domestic violence. You’ll walk away with appreciation for the challenges and achievements of our law enforcement and emergency services members. There are excellent men and women protecting our communities and it is a privilege to spend time getting to know some of them. Go to http://www.parkcity.org or call 615-5500 for more information. For the past two years, Vail’s Epic Promise grant has provided significant assistance to the Peace House prevention education program. Approved by Prevent Child Abuse Utah, our education presentations are embraced by nearly every school administration in the two counties Peace House serves. They are offered to public and private schools without charge. And now the Epic Promise grant has allowed Peace House educators to increase the breadth of their reach, providing prevention instruction to youths outside the school setting, whether participating in team sports, Scout troupes, extra-curricular high school clubs or church groups. I am a student at Park City’s Treasure Mountain Junior High and recently embarked on a school science trip to Teton National Park in Jackson Hole, Wyoming. For five days, the school brings students on a trip to the National Park to help our learning. It is a fun-filled trip available to all ninth-grade students that apply. While there, we have daily activities: team bonding, snowshoeing/ hiking, cross-country skiing, and an adventure course. Students also have nightly activities: tracking, learning about the Greater Yellowstone Ecosystem and animal adaptations. For the week, a total of 30 students are able to attend the Teton Science School program that provides dorms, gear, breakfast, lunch, and dinner. By attending, students have a chance to work in an outdoor, scientific environment while becoming closer friends with their peers. It is a great way for ninth-grade students to be active outside while still in a learning environment. Our goal is to teach students to live and share in a global community and to develop interests and skills to defend against the negative influences in our society today — even in beautiful Park City like drugs and alcohol abuse, bullying and joining gangs. For some students, being in Arts-Kids or Arts-Teens may be the first chance to feel belonging within a school-based inclusive community. If someone is suffering from bad health, nothing else begins to matter. All their energy and attention is focused on trying to get well. That’s why I’m such a huge supporter of the People’s Health Clinic. I’ve seen people lose everything due to poor health. Families suffer, people lose jobs, homes, their dignity. Believe it or not, there are hundreds and hundreds of people living in Summit and Wasatch County who barely make ends meet .who work several jobs who do not have what most of us take for granted, health insurance. A visit to a doctor is a luxury they cannot afford. That is why the People’s Health Clinic is so important to our community. The People’s Health Clinic has been in existence for 15 years now. In that time, they have touched a lot of lives and made a positive difference. Volunteer staff worked 4,519 hours last year and saw over 9,450 patient visits in 2014. Those are people who have very limited options when it comes to medical care. I encourage you to think about those less fortunate in our midst and all those doing something to help. Please consider being one of the latter. There are various events coming up that benefit the People’s Health Clinic, including the ladies only Silver Queen Derby on May 2nd. Join me in supporting a cause that makes all of us healthier. Last week, Bob Wells, one of the finest gentlemen I’ve ever known passed away. I am grateful that, last July, while visiting Park City, I had an opportunity to have a glass of wine with Bob and reminisce about old times. In the mid-80s, I had the pleasure and great honor to serve with Bob, as well as, Jim Doilney, Tom Shellenberger and Bill Coleman on the Park City Centennial Council, during what would be Bob’s last two years on the council. Bob may be known by many for his work with Deer Valley but Deer Valley wasn’t the beginning, it was a continuation of his work. Bob was a financial wizard who figured out how to find the money that allowed us to make much needed major infrastructure improvements in the Main Street Historic District, by declaring Deer Valley a blighted area, just before the first million dollar condominium was built and that allowed us to keep the incremental tax increase for Park City. That tax increment provided the city with millions of dollars with which to rehab it’s century old infrastructure and create surface and garage parking in Swede Alley and helped revitalize Main Street. 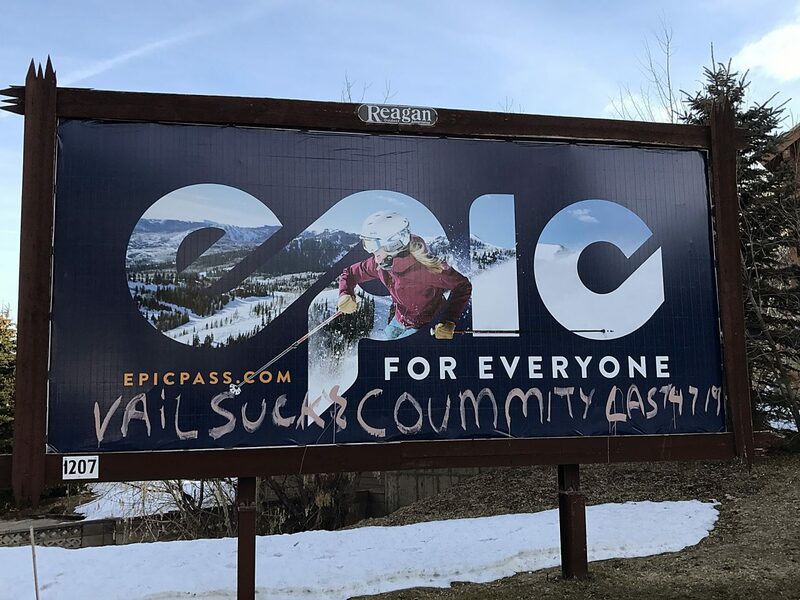 Not to detract from the efforts of the many people who helped Park City transition from sleepy silver mining town, with a ski hill, to world-class destination resort, there were and are many but I think we’d all agree that Bob Wells made everyone, who worked with and around him better, yet he never sought personal credit. If the whole is greater than the sum of the parts, Bob was the force that pulled it and us together and made all of us better. Whilst Bob was a soft-spoken gentleman, he was to Park City what Steve Jobs was to Apple. Much has been written and said about Bob, this past week, as people attempt to list the accomplishments of the man. However, from my view it’s quite simple. Look all around you and, if Park City were the scene of a crime, Bob’s fingerprints are all over it. In mid-February, I visited three different potential clients in Park City to talk about xeriscaping parts of their yards. There was no snow in any of these yards — weird. A couple of weeks later, at the beginning of March, I skied a day at Deer Valley and saw dirt beginning to show in between some of the moguls — weird. And a week ago I was back in Park City measuring yards in nearly 70-degree weather — weird. South-facing slopes up to nearly 8,000′ were bare of snow — weird and scary. It’s been an alarming winter. Yes, there have been winters with little snow before but not with the prolonged warm temperatures that we have seen this winter. I have heard a few folks, friends and even family members, say things like ‘at least we will get to do more mountain biking with climate change’ or ‘Wow, it’s so nice to be able to wear flip flops in February’. It’s not just about us and what we can and can’t do. There are many fellow species that are dependent on this land too plants, animals, birds, insects and the like and their future is in jeopardy just as the future of our snow is in jeopardy. The time for arguing about climate change is long past. The planet, our home, does not care if we are ‘red’ or ‘blue’. ‘The Environment’ is not a political issue or a concept that can be relegated to No. 10 on a list of political priorities. We can start by advocating for ‘Carbon Fee and Dividend,’ the fairest and most feasible option out there currently. We can demand that our legislators enact policies that stay carbon emissions and incentivize new technologies. We can advocate for, invest in and find ways to take advantage of new kinds of clean energy in our personal lives. As I have, we can join the Citizens Climate Lobby and join our voices with thousands more across the country to send a strong message to our politicians that we will not see our planet fundamentally altered by the ongoing impacts of climate change. Let’s do this now, for our snow, for ourselves, for our children and for all who dwell on this earth now into the future. I wish to express my differences with the guest editorial by John Giuffrida regarding minimum wage hikes. Unlike Rep. Justin Miller (who Mr. Giuffrida implies has a conflict of interest because he admits to working for the ‘American Federation of State and County Municipal Employees’), I have no horse in the fight (besides potentially paying more for dining out). The ‘Supply/Demand’ argument (that increasing the minimum wage will put these workers out of jobs) is off the mark and is based on old, disproven expectations as well as fear mongering from restaurant corporations and other low paying industries. Ultimately, a society in which large numbers can work 40-hour weeks, but can’t support a family should be ashamed of itself. In the words of Charles Darwin: "If the misery of the poor be caused not by the laws of nature, but by our institutions, great is our sin."